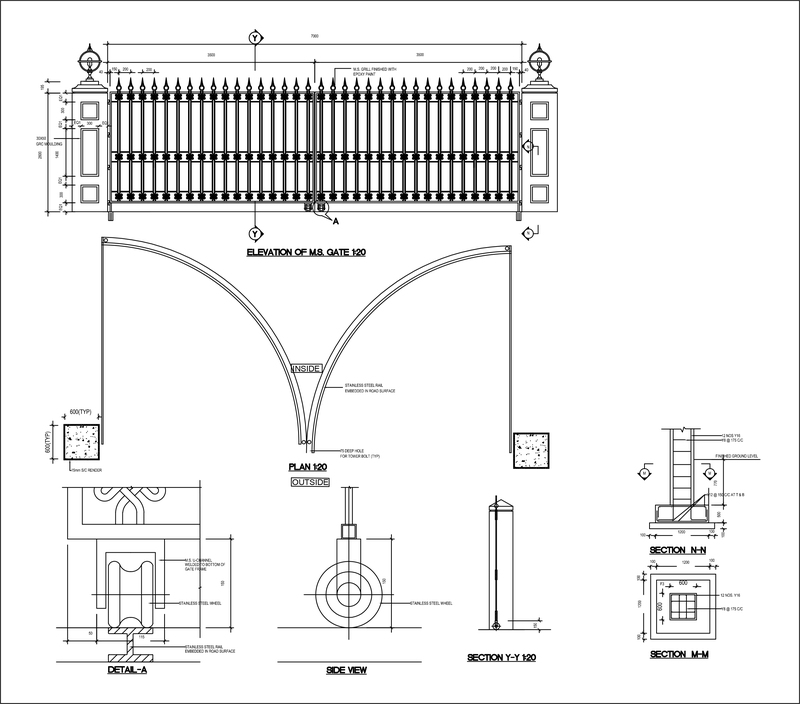 Here is another main entrance gate Auto CAD Block and PDF file form the dwgnet.com web site. We hope this entrance Gate CAD Block also will useful for you. You can use this CAD file, CAD symbol, CAD drawing or CAD Block for front elevation of your house plan. as well as there are full details with column, foundation and steels. These Auto CAD files can be used in a wide range of versions (from 2004 version to latest versions). Anyway if you need to convert this blocks or plans please leave a comment to us. We are hoping to do what you always wanted. So you can free download your selected entrance Gate CAD file or PDF file using this below link.